Earlier locksmith work was limited to making and repairing of a few locks for houses, treasure boxes and almirahs. But the overall growth in the last couple of centuries has resulted in the development of numerous big size residential, official, hospital, educational and industrial buildings across the world. In each of these buildings, there are many doors and almirahs, which have locks. Other than buildings, there are different types of vehicles developed for public transport in this period, which have locks as well. These buildings and vehicles locks are made up of different types of metals and have different sizes, and required a specific set of machineries and workers skills in manufacturing. This simply means that locksmith work isn’t a small work anymore as it used to be. As a result, firms for manufacturing, distributing, wholesaling, repairing and maintaining locks are developed. People understand that locksmith business will grow. To give assistance to this business, they started developing numerous computer-based solutions, one of those is inventory (and order) management solution, such as GOIS (Goods Order Inventory System) Pro. GOIS Pro is helpful to most of the businesses, and locksmith business is not an exception here. Here is an example which can give you a hint. Locks quality vary as per the customer requirement, a more qualitative one for luxurious cars, and museum buildings, and a less qualitative one for children almirahs are required by most of the customers. But the requirement of these locks are mostly immediate because no one compromise with the security. 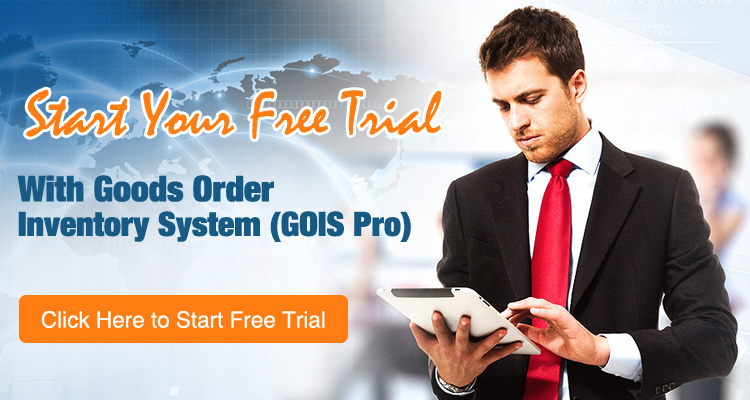 Here, with GOIS Pro, businesses can handle this requirement of the customers smoothly. They can use GOIS Pro to set low stock notification of the required locks in their inventory with the help of Low Stock & Reordering feature, and adjust misplaced and damaged locks with Stock Adjustment feature. Moreover, whenever they fell short of the required locks, they can email purchase order to the vendors within the GOIS Pro itself. GOIS Pro is a matured and fast growing inventory management solution, many industries across the world are already relying on it. Some of these are agricultural, appliance, café, oil and gas, farming, sports, cleaning, educational institute, aircraft maintenance, photography, property, event management, mining and landscaping. If you have any question about this topic or schedule a demo, please contact us! ← Previous Previous post: What is the Need of Inventory Management Solution for Café Firms?